Another outbreak on the Fred Olsen's Boudicca cruise ship. The Fred Olsen cruise ship Boudicca has been hit by a second vomiting outbreak. The ship was on a 10 night Baltic voyage when a gastroenteritis bug hit at least 85 passengers onboard. In total there were 736 guests onboard and thankfully the outbreak didn’t spread to others onboard. The ships previous outbreak was just 11 days ago! 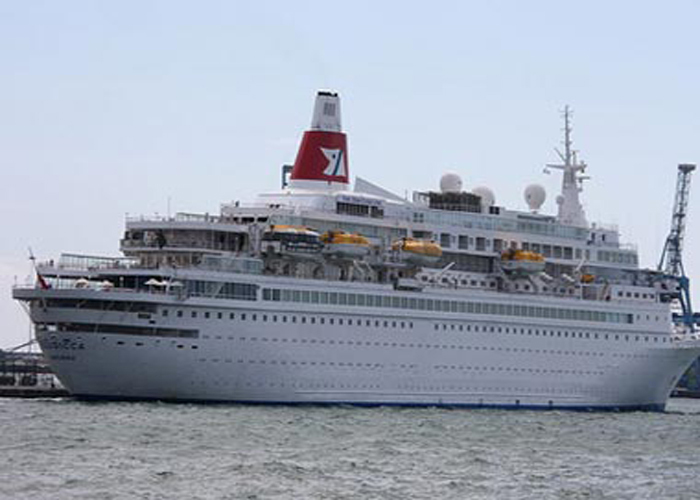 Boudicca is currently docked in Belfast where the cruise originally started from. The ship ended the voyage early so it can be sanitized intensively. The passengers effected by the outbreak will get a voucher from Fred Olsen cruise line for a future cruise. Passengers scheduled for the next sailing which is a 12-night Canary Island cruise have received letters from the British cruise line informing them of the situation but the sailing isn’t expected to be delayed with only minor issues predicted. Would you cruise on the Boudicca cruise ship? have you ever been on a ship when this sort of outbreak has happened? let us know in the comments below. Hurtigruten is going to be making the most extensive cruise ship upgrade in its history. The MS Finnmarken will be transformed into premium expedition cruise ship. An adults-only cruise will set sail in 2020. The Temptation Caribbean Cruise will be full of naughty events, shows, and activities for singles and couples.